Be polished and comfortable during the warm weather months in the Dansko Jacinda sandals. 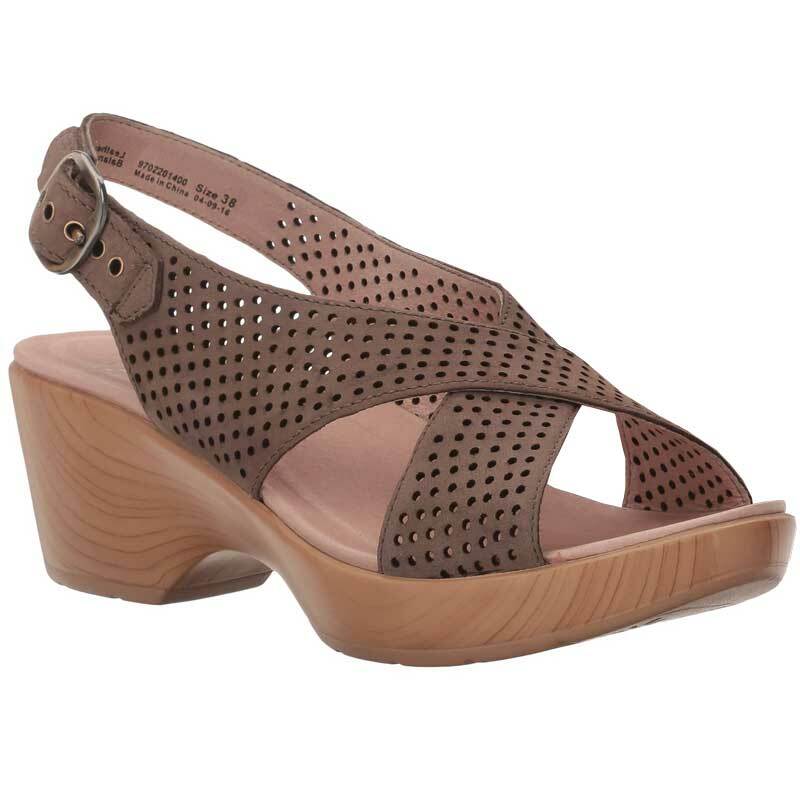 Part of the Dansko Dillon collection, this women's sling-back sandal boasts criss-crossing leather straps, as well as an adjustable ankle strap. The uppers have perforation detail, for added style and breathability. Featuring pronounced arch support, the leather-covered footbed sits atop shock-absorbing memory foam and a dual-density EVA insert for lasting comfort. Leather lining provides a breathable and healthy environment. The demi wedge heel adds stable height, and the rocker bottom helps propel your foot forward for a more comfortable stride. Comfortable, summer style is yours wiht the Dansko Jacinda sandals.